Rieker Clog 665H1 is a ladies heeled sandal. It features a leather upper with a approximately 7cm block heels that gives a slight boost in height, while providing stability. 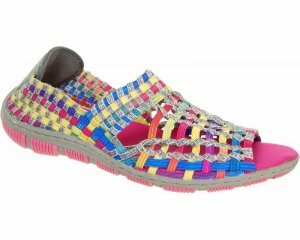 The single Velcro strap at the ankle allows for a secure fit and adjustability, making it a great all day sandal. Add a touch of style to any outfit with Rieker Clog 665H1.